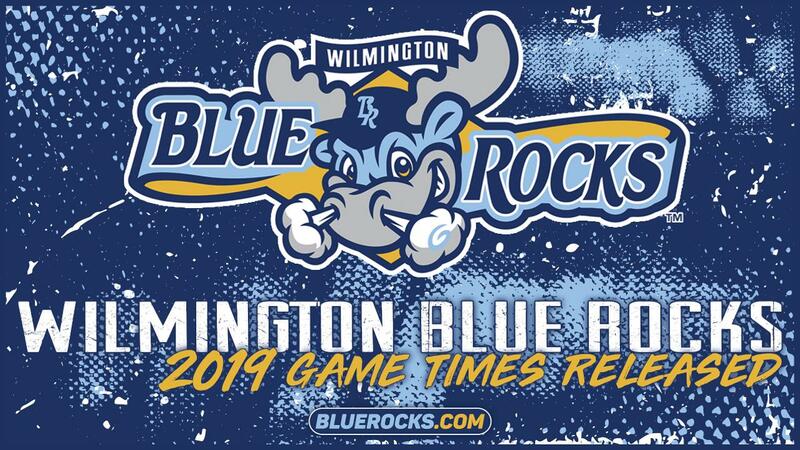 The Wilmington Blue Rocks unveiled their first pitch times for home games during the 2019 season on Monday. The Blue Rocks will start most Monday-through-Thursday contests at 6:35 p.m. with Frawley Stadium's gates opening at 5:30 p.m. The exceptions are two school kid specials on Wednesday, April 10 and Wednesday, May 15, which will both begin at 10:35 a.m.; a camp day game on Wednesday, July 24 at 11:05 a.m.; and holiday games on Memorial Day (May 27) and Labor Day (September 2), which will start at 12:05 p.m.
First pitch times remain unchanged for weekend games. Friday contests will start at 7:05 p.m., Saturday games will begin at 6:05 p.m. and Sunday games will have 1:35 p.m. first pitches. Fans will have access to Frawley Stadium on Fridays at 6 p.m. as in the past. On Saturdays and Sundays however, the Blue Rocks will open gates one-half hour earlier than usual. Saturday games will allow fans entrance to Frawley Stadium at 4:30 p.m. and Sundays at 12 noon.